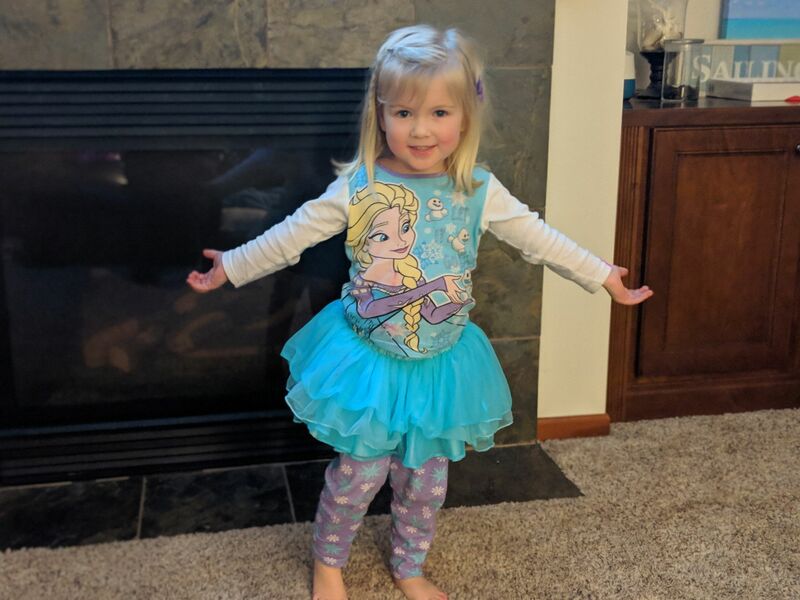 While Emma got to dress up for jersey day on Friday, Olivia got to dress up for pajama day at her school. 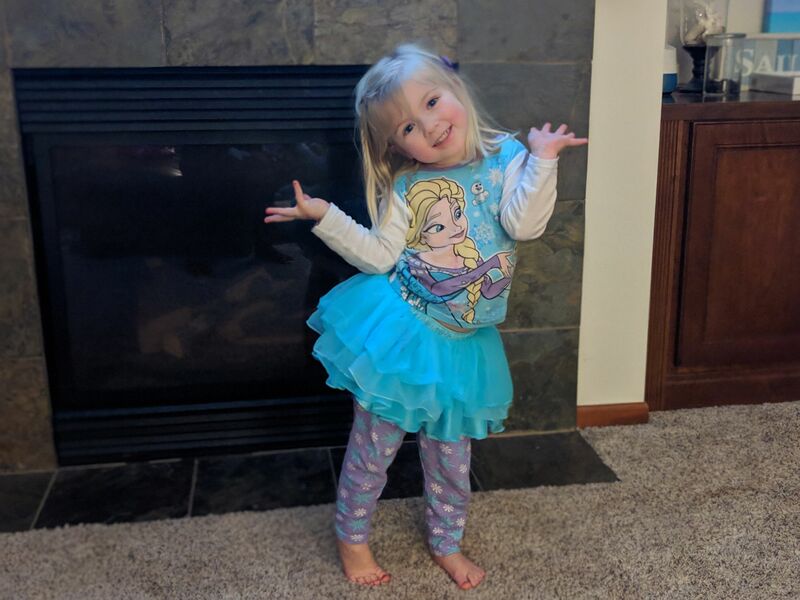 She insisted on a skirt with her pajamas. 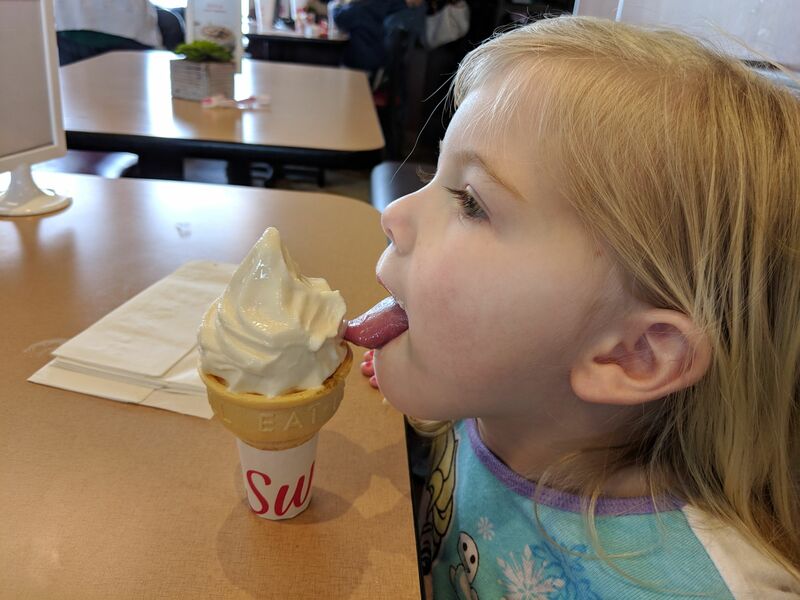 Olivia decided to eat her ice cream cone in the smallest licks ever.